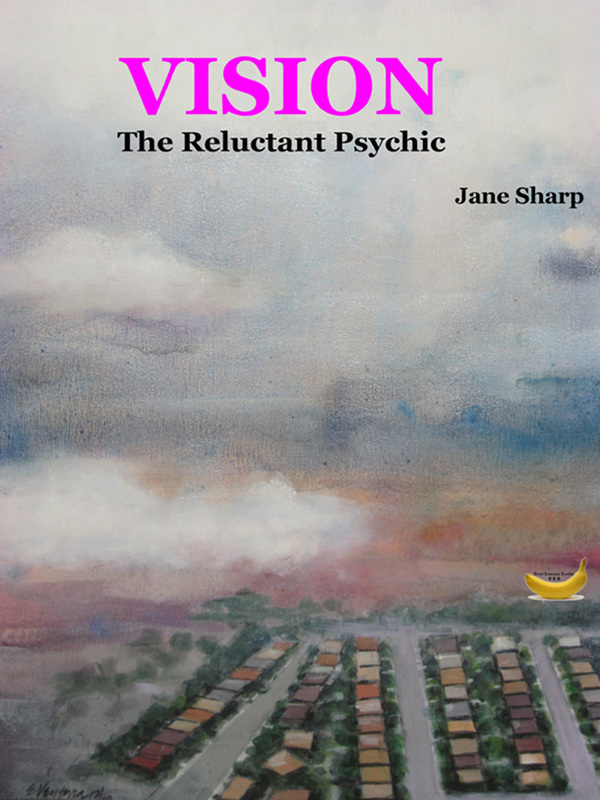 Not quite but Vision: The Reluctant Psychic is free this Saturday. The new paranormal crime drama is free Saturday, US time. You might want to set your world clock. http://www.timeanddate.com/wordclock/?n=47 Mine has a default time of Brisbane, Australia. You might want to change that. Vision: The Reluctant Psychic is knocking on the heavenly door of Top 20 in the Ghost genre. Last week it reached #24, a credit to its author Jane Sharp and its publisher Bent Banana Books which is, well, me. With great kudos comes great responsibility as someone once almost said. Let’s hear from young Bob on a variation of that theme. If you are a bit of a rebel in the mould of Billie the kid – to be gender unspecific – you might want to thumb your nose at the free offer and buy the book, right now. You would make author Jane and publisher, me, very happy. It seems to be an unfashionable philosophy, but one I subscribe to, that authors should not work for their art or future reward but rather present recompense for the sweat of their brow. Indie authors seem to be setting standards of free or 99cent books. It is not a strategy I subscribe to but that is a discussion for another day. For today, ours is not to reason why ours is to plug the free Vision ‘til we die. I am uncertain what the reward is for free books as the free receivers cannot write reviews, and they are hardly likely to buy another copy of the book they have received for free. That too is grist for a future discussion. Right now, here are is a selection of reviews to encourage you to buy this book even if it is for zero cents on Saturday. My comments are in bold under each review as I cannot help myself. I finished 'Vision : The Reluctant Psychic' in a day. I haven't read like this for years. Jane Sharp's creativity is magnificent. Her ideas and plotting are the equal of the best crime dramas like Law and Order or The Mentalist. The writing travels at a clip. The originality and heart kept me right in the story. Please write more! Wow 2 0ut of 2 people found this review helpful. That is 100%, perfection – publisher hyperbole. What a good read! I found myself easily engrossed in the story and loved the references to suburbs and landmarks in Brisbane. Can't wait to hear more of Detective Trudy Harper and her adventures as a reluctant psychic. Wow 2 0ut of 2 reviewers have given it 5 stars, perfection again – publisher hyperbole, again. I found the book to be well written and very enjoyable reading. Each story is an easy read and flows on from one to the other effortlessly, revealing a little more character development each time. I became very invested in the character of Trudy and in those of her friends. Get cracking Trudy Harper! I want to see what happens to you. I, the publisher, could go on but why bother? You have already left this page to buy the book. Make sure you come back for our celebratory song. We’ll wait for you. We all back from frantic impulse buying of Vision now? Here is our celebratory song: slightly spooky, joyful and quasi spiritual. For any racist who has stumbled across this blog, stick this song in your ear.